Don't know how to view the eclipse or what to look for? Never fear! We've assembled a panel to teach you how to become an amateur astronomer. 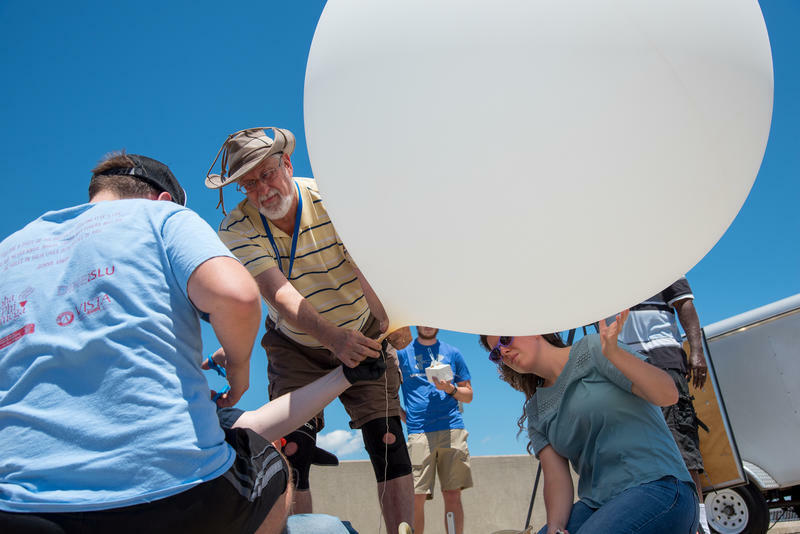 Three experts helped us along the way: Jim Small, the president of the St. Louis Astronomical Society; Don Ficken, the chair of the St. Louis Eclipse Task Force, and Erin Tyree, the program manager at Challenger Learning Center. 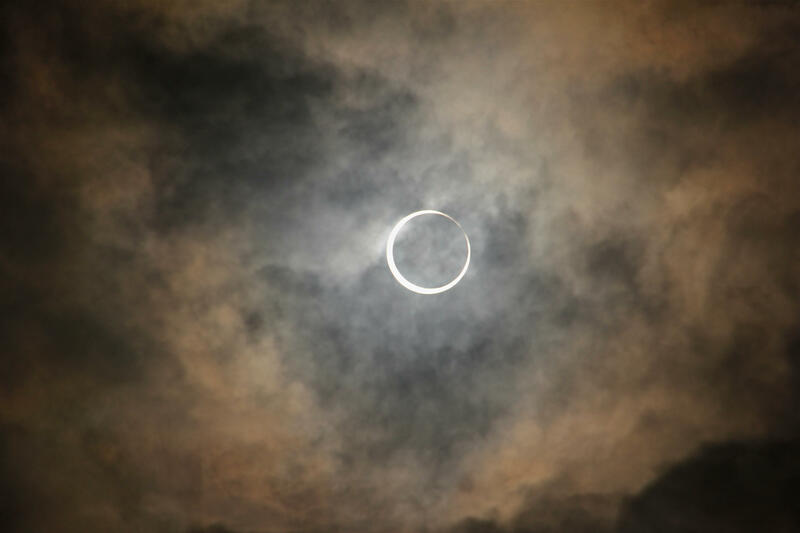 How does an amateur astronomer view the eclipse? And how can you help your kids get something out of it educationally? St. Louis on the Air tackles the subject with three amateur astronomy experts. 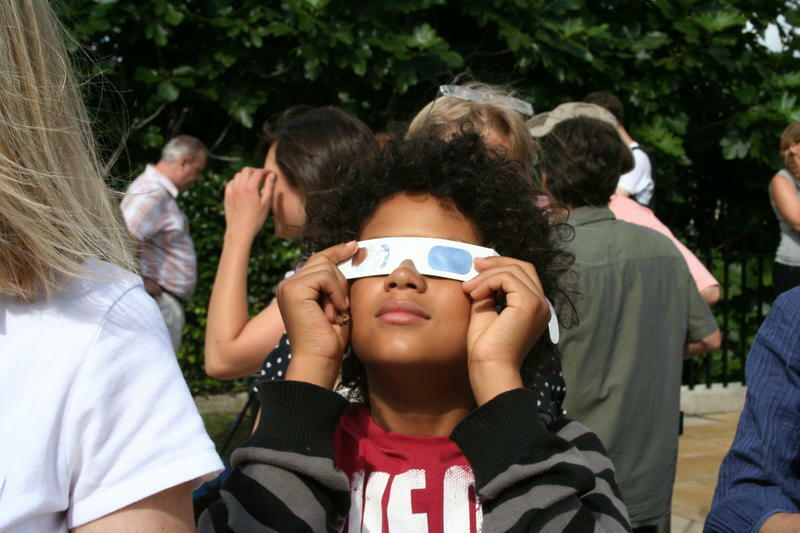 We’re also collecting your eclipse plans for our solar eclipse special on Aug. 21. Where are you going, how far will you travel, and what will you do during the eclipse? 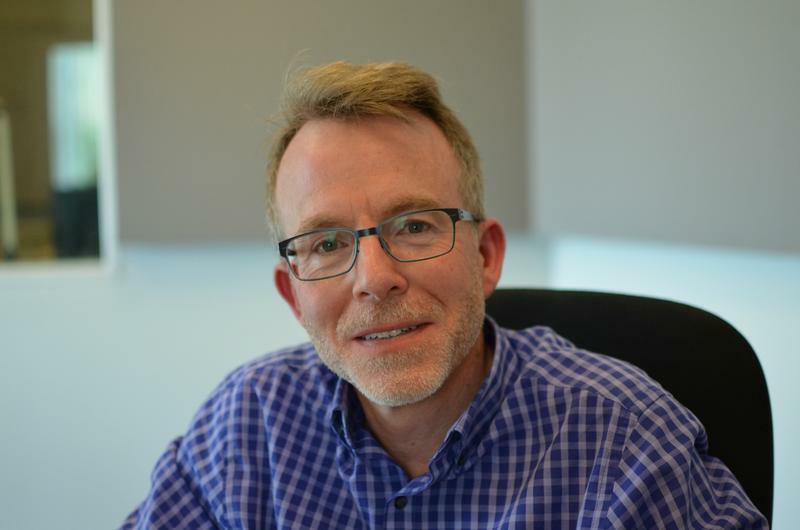 Leave us a voicemail at 314-329-4937 or email us at talk@stlpublicradio.org. Don Ficken, Chair of the St. Louis Eclipse Task Force. Small: Basically, the moon on occasion will line up between the sun and the earth and completely blocks out the sun from our view. If that happens in your area, you’ll experience a darkness in the day. It will be the experience of a lifetime. Ficken: When the sun shines over the moon, it creates a shadow across the earth, but the shadow is only a very narrow 70 miles wide. If you’re outside that shadow, like a little north of St. Louis, you’ll only see a partial eclipse. When the shadow approaches and you get into totality, you can take off all eye protection and look where the sun was, because now you’ll only see the corona. It will only be about as bright as a full moon. The last time St. Louis saw a total solar eclipse was in 1442. Do all solar eclipses look the same? Have they always looked the same? Small: It’s a little bit different because the moon is gradually moving away from Earth. At some point, we’ll never see any total eclipses again because it will move far enough away that it doesn’t cover the sun all the way. It depends on how close the moon is to the Earth [in its elliptical]. The eclipse in 2024, for example, the moon is a little closer and the totality will last over four minutes for that one. In St. Louis in 1994, we had an annular eclipse. The moon was just far enough away that, while the moon was centered on the sun, there was a ring of light around it, making the eclipse not total. The moon is gradually losing its tidal lock. It moves a couple of centimeters a year. It won’t happen in our lifetimes, but eventually it will move far enough away it won’t produce a total eclipse. Millions of years ago, dinosaurs had a totally different view of the eclipse. The sun appears to travel east to West. The moon appears to follow the same trajectory. Why, then, is the eclipse viewed first by people in the West? Ficken: On a daily basis, if you look where the moon is one day and look at it the next day, it travels to the east. The moon as it actually orbits the earth travels the other direction. On a nightly basis, if you watch as the night goes on, it sets in the west and rises in the east. On a night-to-night basis, the moon makes its way east, about 15 degrees east every day. More explanation on this phenomenon here. Everyone knows at this point that eye safety is the #1 thing. But what would you say the second-most important thing to keep in mind for eclipse day is? Jim Small, President of the St. Louis Astronomical Society. Ficken: Eye safety part is first and most important. If you’re in the partial eclipse, you could be tricked to think the sun is safe when it isn’t blocked. It is dimming down, but not totally blocked. The sun is a million times brighter than a full moon. Even at 99 percent blocked, it is still 10,000 times brighter than a full moon. Secondly, I would say the most important thing is that you really have to plan for this. You have to decide where you’re going, especially if it is in the path of totality. I-55 is going to be a red zone. There are folks that will literally be driving to Festus at 4 a.m. to make sure they get a spot. You can’t decide at 10 a.m. to go to Perry County, you have to plan it. If the sun is so bright, how will you know when totality is actually happening? When should you take off your glasses? Ficken: You’ll really know that totality is taking place when you can’t see anything anymore through your eclipse glasses. There are also plenty of videos on the web, such as at the Xavier Eclipse Map on stleclipse.org, which lets you zoom down to wherever you’ll be on eclipse day to get exact totality times. Right before totality, you’ll see Baily’s Beads happen. That’s when there’s just valleys between mountains on the moon with sunlight poking through. There’s also a diamond ring that’s the last bright piece of the sun you’ll see before totality. The hard part is the reverse side, when does the sun pop back out. I would recommend looking at how long that eclipse will last and you will need to get kids to put on their glasses 15 seconds beforehand. 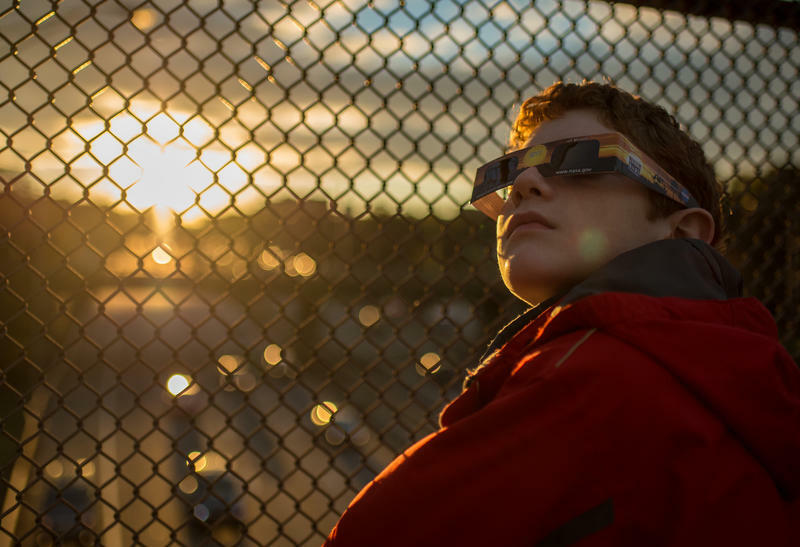 What should parents and teachers do to help kids experience the eclipse? If you are able to take the day off and get to an area that will experience totality, do it. Make sure you get to see the eclipse happening at multiple times. See what it looks like through the glasses or a pinhole viewer when it is starting, when it is at totality, and then see it again as it is leaving and the sun gets bigger and bigger. Get a colander, hold it up to a sidewalk, and you’ll have a pinhole viewer that will let you see 100 different glimpses. For teachers with new students, attach a paper “crown” to the top of the students’ eclipse glasses with their names to help students get to know each other at the beginning of the year. What should you bring with you to view the eclipse? Erin Tyree, Manager, St. Louis Challenger Learning Center. Small: Bring plenty of food, water and something to do after the eclipse. I’ve been to a couple of shuttle launches and the road right there to Orlando is a parking lot for two hours after the eclipse. People might leave right after totality, but it still goes on for another couple of hours. Stay through that at least. Bring playing cards. Tyree: One thing you can do, if you want to make it educational for kids: there’s a lot you can do with light and shadows. If you’re in an area with cement, make yourself a human sundial. Trace your shadow at 11, 1 and later. You could do that any day, but it would be something engage with for kids. Also: bring fun snacks. Starbursts, sun chips, moon pies. Should you worry about babies or pets’ eyes when viewing the eclipse? Tyree: You don’t have to worry about them because the sun isn’t any more dangerous than on any other day, it is just more tempting to look up. Anyone who is not going to get that an eclipse is happening is going to be perfectly fine like any other day at the park. Your biggest concern should be sunblock. Dogs will be fine too. How can I make pinhole viewer? Here’s a brief explanation of how a pinhole viewer makes safe eclipse viewing. Tyree: To make one, get a pair of index cards. Poke a hole in one with a pushpin. Line up the hole with the sun. Project that light onto another index card or the wall. Because it is so bright, you can get a better image if you enclose it. Get a shoe box, put white paper on the bottom and make another hole to view the projection through. Come Aug. 21, NASA will be in Jefferson City, one of seven cities chosen from which to broadcast a live feed of the total solar eclipse. 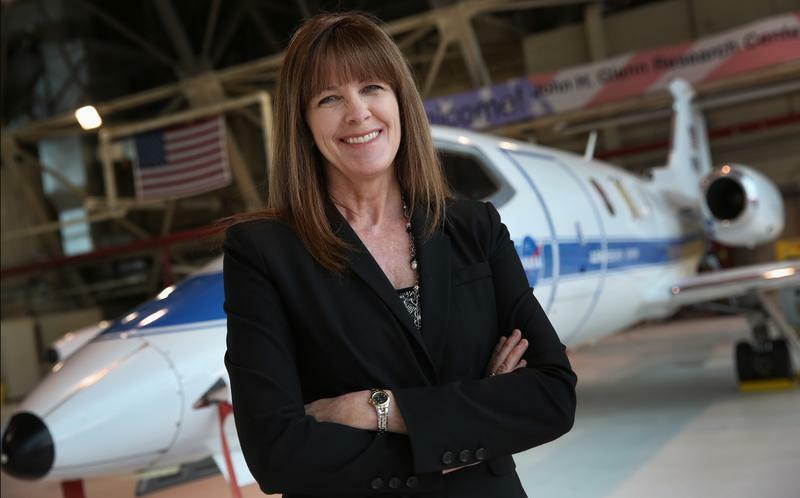 Janet Kavandi, a Missouri-born former NASA astronaut and director of the NASA Glenn Research Center in Cleveland, Ohio, will join the broadcast from Jefferson City. Kavandi has logged more than 33 days in space with 535 earth orbits.